Taking into account inflation, property has performed badly in recent times. See article by RP Data. 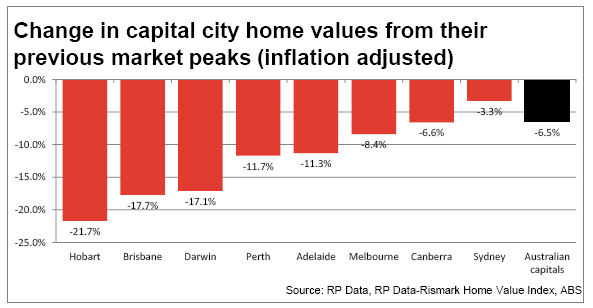 Brisbane is down about 17%. Taking into account transaction costs (e.g., duty) and holding costs (rates, body corporate fees, maintenance and repairs), the situation is very grim for property investors. 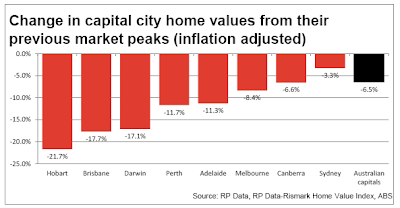 And I suspect that inflation is actually higher in Brisbane than the official figures show.